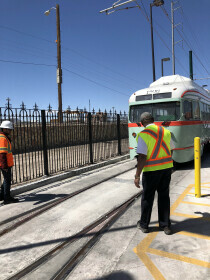 El Paso Streetcar: Car #1506 being guided on the track to the Maintenance and Storage Facility. 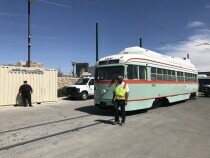 El Paso Streetcar: El Paso Streetcar personnel posing in front of car #1506. 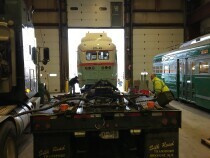 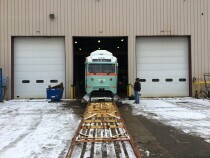 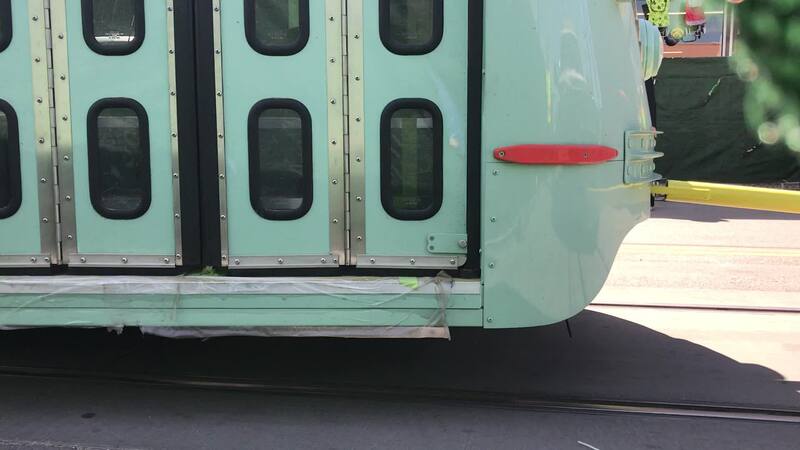 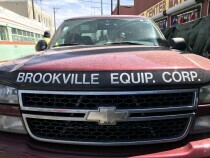 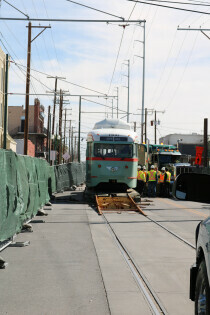 El Paso Streetcar: Car #1506 being unloaded onto the track. 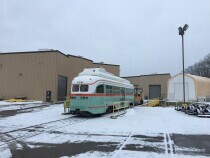 El Paso Streetcar: Inside interior of the El Paso Streetcar #1506.